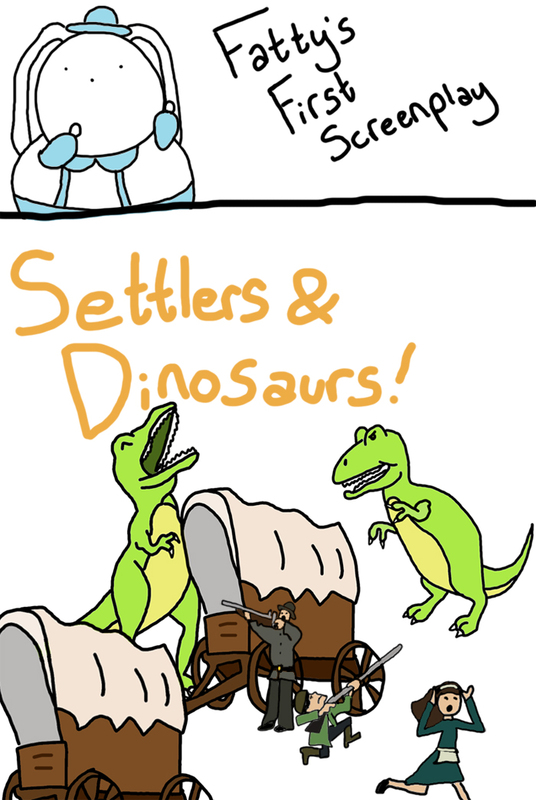 I got this idea while driving through Iowa/Illinois and talking about the pioneers. Then we saw a dinosaur. Cowboys & Aliens, Abe Lincoln Vampire Hunter.... why the heck not? Anyway, I've been wanting to draw it forever.